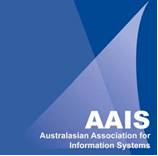 The Australasian Conference on Information Systems (ACIS) is the premier conference in Australasia for Information Systems academics. The conference covers technical, organisational, business, and social issues in the application of Information Technology (IT). In 2011, the 22nd ACIS will be held at the Camperdown campus, University of Sydney, Australia. The conference will run from Nov 30th to Dec 2nd. It is hosted by the Discipline of Business Information Systems, at the University of Sydney Business School. "Identifying the Information Systems Discipline"
Our disciplinary area within business and ICT is still relatively immature when compared to others. Over the years we have had many scholarly debates about what constitutes the IS discipline and what is acceptable methodologically to advance core knowledge and theory in the area. With the drive to bring focus, relevance and rigor we have also, however, accommodated a broad range of ideas and interests. In spite of all of the excellent scholarly work conducted globally and locally within Australasia in IS, practitioners and students still often argue exhaustively about the articulation and recognition of what the IS discipline is about. Our colleagues in other disciplines often fail to see where our scholarly contributions lie and our universities continually restructure our position within them. Could it be that the accommodating nature of the discipline and our inter-disciplinary appeal may also be contributing to our difficulty in identifying, defining, and positioning what it is that we do? Nominations close on 4th November, 2011.